Shot just before sunset, when the sunlight is becoming diffused and beams shoot out across the evening sky in a last attempt to light the land and sea. 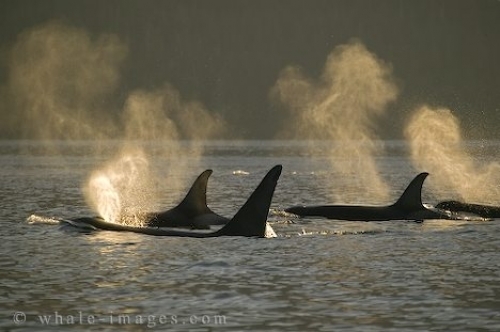 The remnants of light are caught in the puffy plumes of fine mist that the whales exhale, like sun signs. Sunset is one of the most inspiring times of the day when life is slowly winding down to a restful pace - it's one of the sun signs in nature.